24/7 Home Security Solutions that will give you and your family peace of mind. Strada Security can help you design an efficient system that will meet the needs of your home. Strada Security solutions make protecting your family and home easier than ever. When people think of security systems, they usually think of burglar alarms, window sensors, and motion sensor lights. However, these days, home security is much more interactive. 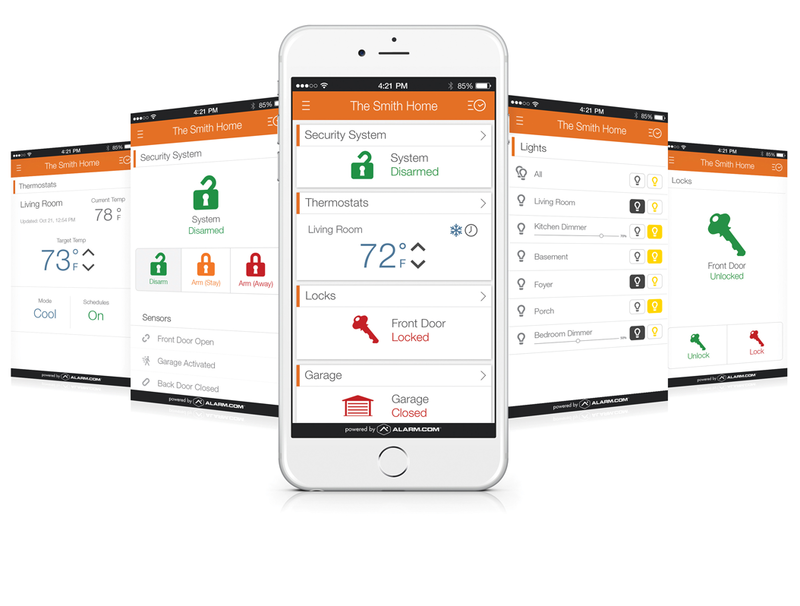 Today’s technology puts the full control of your security system in your hands through your smartphone, tablet, or computer. With a fully integrated security system, you can see someone pulling into your driveway through the Alarm.com app, whether you are home or not. With multiple levels of control, every aspect of home security can be specifically tailored to your needs. If you are not sure what level of system you need, Strada Security will help design an efficient and fully expandable customized system that can grow with you over time if and when your needs change. So what happens in the event of a security system trigger? You will receive an immediate notification on your smartphone when your systems is tripped. If you participate in our 24/7 monitoring program, you can be confident in knowing a security specialist will respond immediately in the event of a system alert. Communicate through two-way voice, which lowers emergency response. Contact Strada Security at 877-906-7772 for a home security consultation and put the power and peace of mind of a fully integrated home security systems in your hands.